INSCT Founding Director William C. Banks is a SU College of Law Board of Advisors Distinguished Professor and Emeritus Professor at the College of Law and the Maxwell School as Professor of Public Administration and International Affairs. During 2015-2016, Banks was Interim Dean of the College of Law. A teacher and scholar at SU for nearly four decades, under his leadership, INSCT has risen from its inception in 2003 to become a recognized leader in interdisciplinary research and education on national and international security and terrorism. A highly regarded and internationally recognized scholar, topics of Banks’ wide-ranging research include national security and counterterrorism law; laws of war and asymmetric warfare; drones and targeted killing; cybersecurity, cyberespionage, and cyber conflict; human security; emergency and war powers; emergency preparedness and response; civilian-military relations; and government surveillance and privacy. 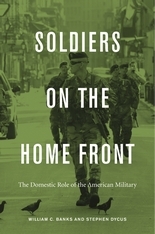 Among his other major works, Banks is the co-author most recently of Constitutional Law: Structure and Rights in Our Federal System (Carolina Academic Press, forthcoming 2018; with Rod Smolla) and Soldiers on the Home Front: The Domestic Role of the American Military (Harvard, 2016; with Stephen Dycus). He is the author, co-author, and/or editor of numerous other titles, including National Security Law (Aspen, 2016) and Counterterrorism Law (Aspen, 2016)—books that have helped set the parameters for these fields of study—as well as Counterinsurgency Law: New Directions in Asymmetric Warfare (Oxford UP, 2012) and New Battlefields/Old Laws: Critical Debates on Asymmetric Warfare (Columbia UP, 2011). Additionally, Banks has spearheaded numerous interdisciplinary research projects for INSCT, including New Battlefields, Old Laws: From the Hague Conventions to Asymmetric Warfare; Controlling Economic Cyber Espionage; and Countering Foreign Terrorist Fighters, a collaboration with the United Nations Counter-Terrorism Committee Executive Directorate (UN CTED). Banks joined the SU College of Law faculty in 1978. In 1998, he was appointed a Professor of Public Administration in SU’s Maxwell School of Citizenship and Public Affairs, and he was named a Laura J. and L. Douglas Meredith Professor for Teaching Excellence in the same year. In 2008, Banks became the first SU College of Law Board of Advisors Distinguished Professor. In 2017, the SU Law Class of 2017 bestowed on Banks the Res Ipsa Loquitur Award at their Commencement ceremony, in recognition of his impact on their class both as a teacher and as Interim Dean. Also in 2017, Banks was named Senior Fellow at the Center on National Security and the Law, Georgetown Law. Among his public service appointments, Banks has served as a Special Counsel to the US Senate Judiciary Committee (for the confirmation hearings of Supreme Court nominee Stephen G. Breyer); on the ABA Standing Committee on Law and National Security; as a member of the InfraGard National Members Alliance Board of Advisors; on the Advisory Council for the Perpetual Peace Project; on the Executive Board of the International Counter-Terrorism Academic Community (ICTAC); as an Editorial Board member at The International Centre for Counter-Terrorism in The Hague, The Netherlands; and as a Distinguished Fellow of the Institute for Veterans and Military Families at Syracuse University. Banks also is the Editor-in-Chief of the Journal of National Security Law & Policy.